The ‘zombie’ drug or the ‘flakka’ drug, as some might know it, is an illegal substance that has made its way through Australia and the USA, through to South Africa. 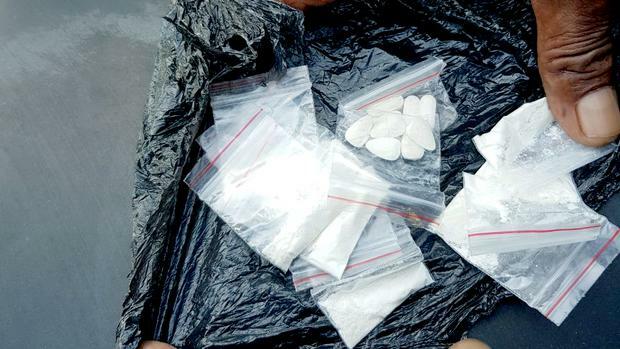 A drug-dealer has been caught selling the drug in Durban. It is a hallucinogenic drug that causes panic and hysteria. People who take the drug are often left unable to talk and have no idea what is going on around them until the drug wears off. When people take the drug they become unresponsive and a danger to themselves and others. A source revealed that in Chatsworth, three men had to be taken to hospital after taking it. It is alleged that one of the men attacked a woman, biting off a chunk of her arm. Another is reported to have suffered heart failure, with his heartbeat returning a short while later. The source said the men were at a party when they were offered the drug. It took five days for the drugs to be fully flushed out of their systems. Police questioned them once they were able to communicate again. They were able to tell police where they got the drugs from and a sting was set up. The drug-dealer was allegedly found with 10 bags of flakka, 10 bags of ecstasy, a cellphone and R1 600 cash. He has since appeared in court and was remanded pending his next appearance. Hubbly Bubbly is Bad for you! Experts say the high from flakka can be compared to the high caused by snorting cocaine, the only difference, flakka has the potential to be much more dangerous. Even the smallest overdose of the drug can lead to the most extreme symptoms. The drug can make users have feelings of super strength coupled with a pure feeling of rage. The drug sits on the brain neurons and kills them. Permanent neurological effects are guaranteed. Medical experts also worry that flakka users could be on dialysis for the rest of their lives.